Hello! Hope you have had a nice weekend! On Saturday Mel and I took a wee trip to Aberdeen, to visit Scottesque. 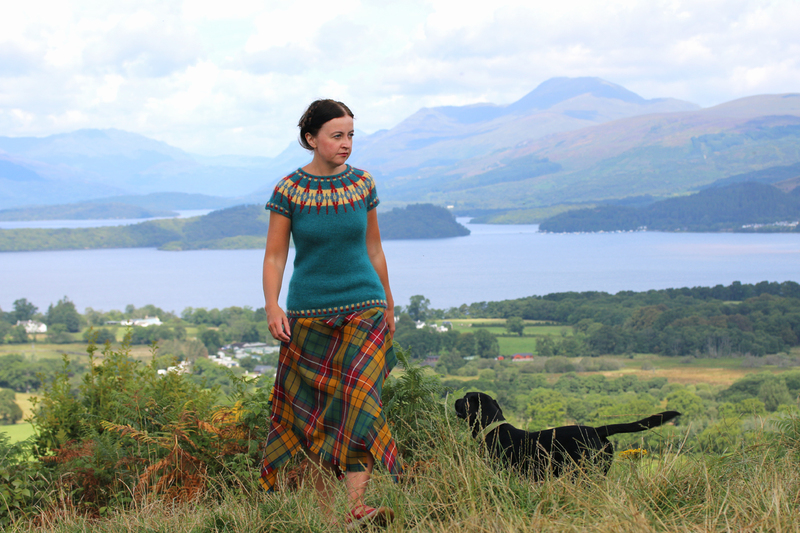 You may remember that I’ve mentioned Scottesque before (in connection with the midi kilt with which I styled my Buchanan yoke). 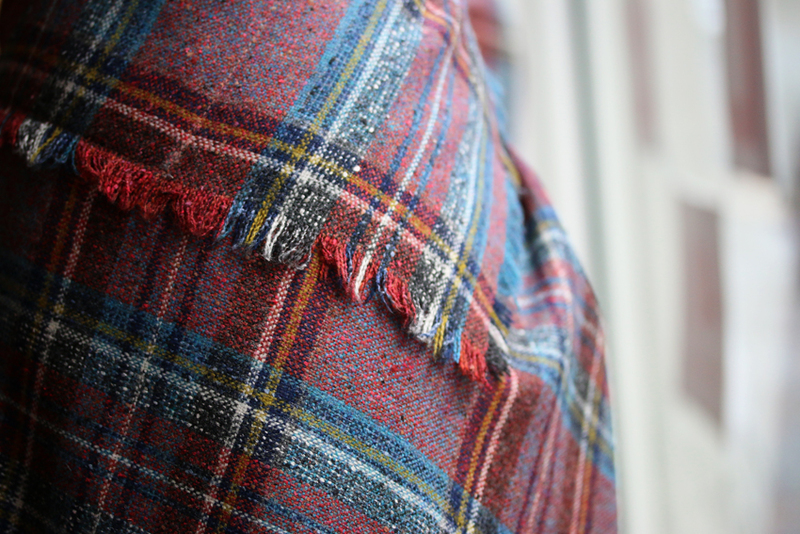 I absolutely love my midi-kilt – I think its handkerchief paneling and bias-cut lines makes it an incredibly flattering and feminine way to sport tartan, and I find it really easy to wear. I commissioned my midi-kilt from Scottesque by email: having found an iteration of the “ancient” Buchanan tartan that I liked, and which was a good match for my yarn palette, I sent them my measurements and they designed and made my kilt for me. Anyway, I recently had an idea for a special and slightly more complicated garment (of which more later), and I thought it would be great if I could talk to Scottesque about creating it for me. 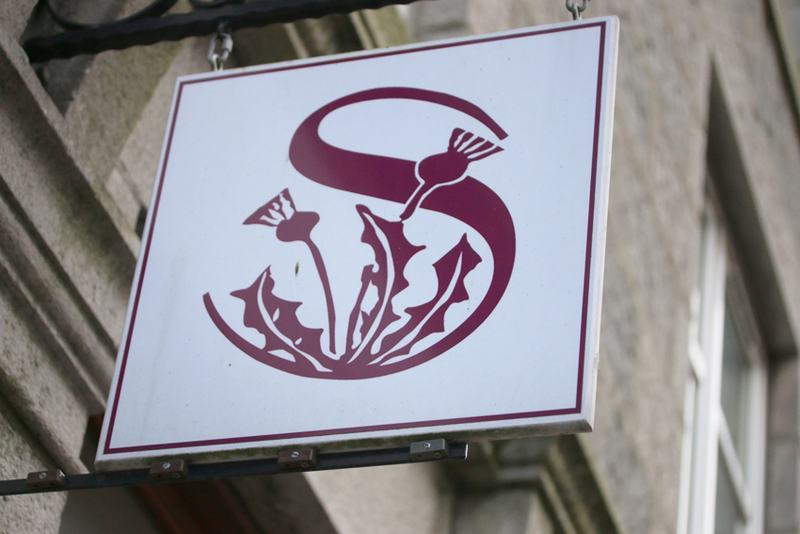 So Mel and I hit the road, and found Scottesque in the lovely Rosemount area of Aberdeen (just down the road from the Beechgrove Garden, which I confess I found rather exciting). 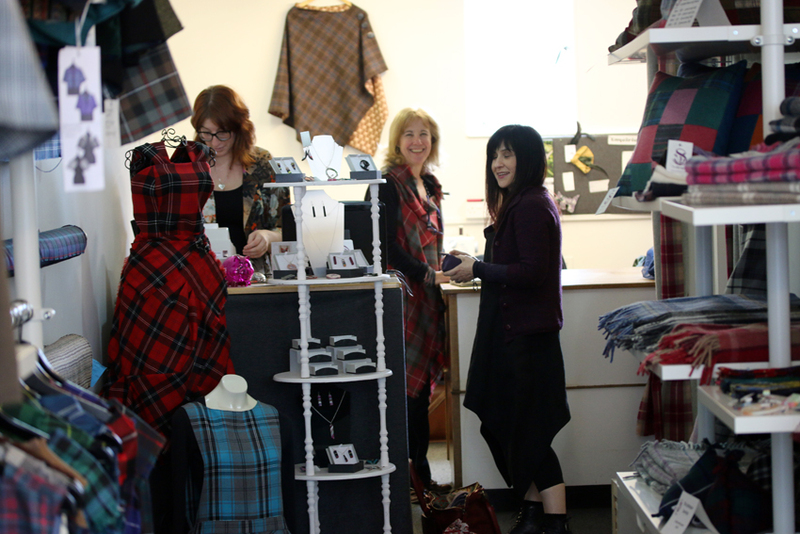 Scottesque is run by Jan, who has worked with textiles in Aberdeen for many years. 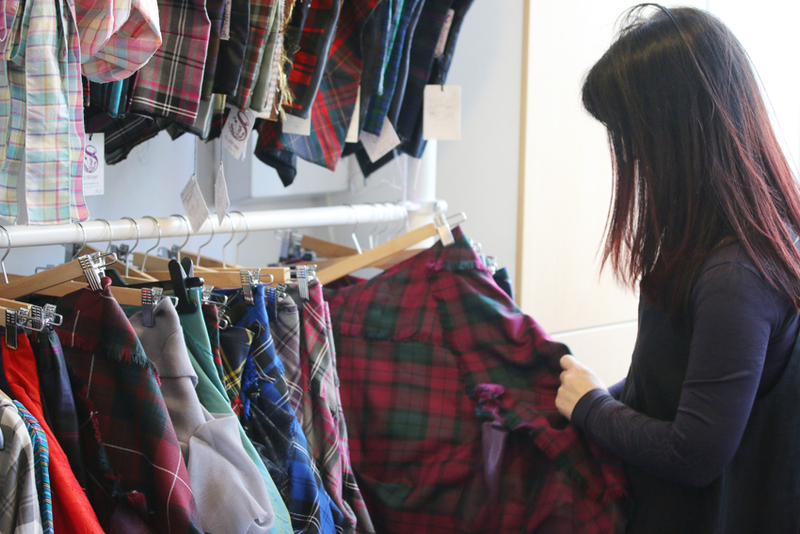 Her business began with vintage and upcycling, and grew to focus on giving tartans and tweeds a contemporary feminine look. When she applied techniques of draping and folding to the design that became her signature midi-kilt, Scottesque never looked back. The bias lines of the fabric, and the design’s subtle volume and drape means this is a skirt shape that looks good on just about everyone. It was fantastic to see Jan’s shop and workshop, and get a sense of what’s going on at Scottesque. Mel fell in love with the greens and magentas of the Lindsay tartan. 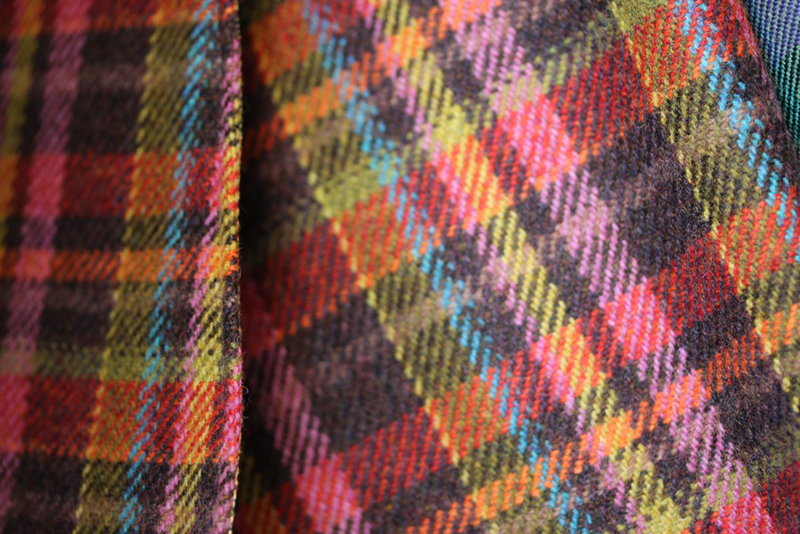 And I was blown away by the array of beautiful fabrics . . .
. . . and colours . . .
. . . but most especially by Jan’s design acumen, bringing tartan to life with characteristic pleating, volume, and drape. 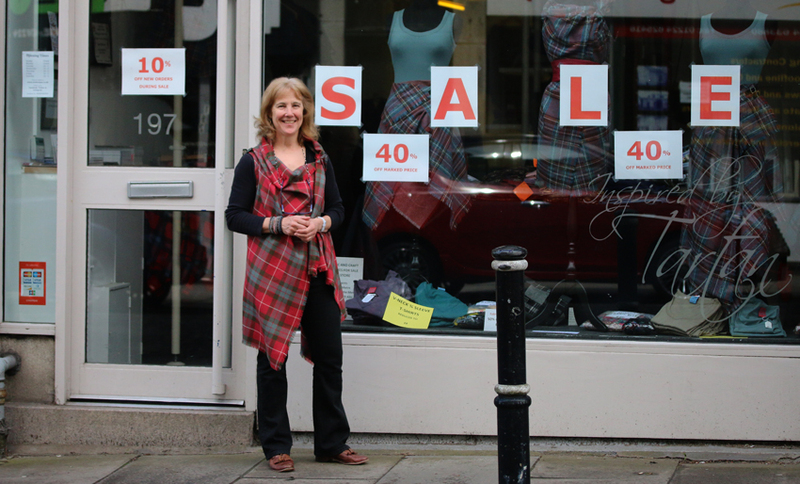 Mel and I had a fantastic time, and, ahem, placed some orders . . .
. . . so if you find yourself in Rosemount, I highly recommend a trip to Scottesque (especially as there’s a spring sale on at the moment!) 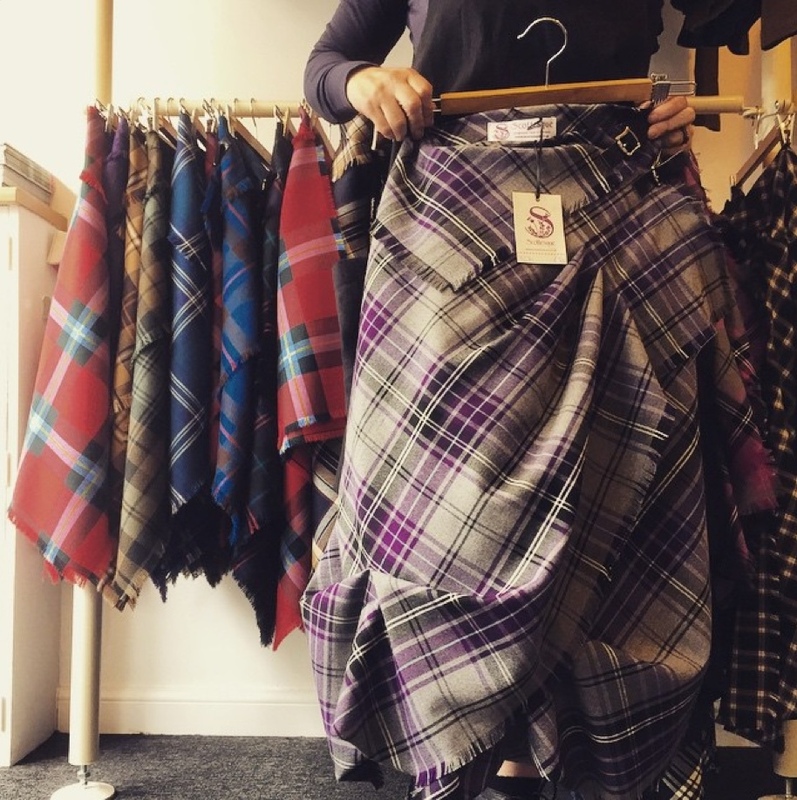 But if you are unlikely to able to get to Aberdeen, you can always order a kilt to fit you, in your choice of Tartan, by contacting Scottesque directly. Oh my, I have never lusted after a kilt before, but now I feel I must have one, even if it may seem odd for an American! My guess is that your post will generate a bit of business for them! I agree, amazing colours and fabrics!! I am Adding this to my bucket list! Love that whole outfit. The colours are great! When we lived in Indonesia, Malcolm’s secretary asked me to buy her a mini kilt on one of my trips home. She then wore it to work, instead of the boring beige skirt of her company uniform! Hello Kate, love your patterns, please look at my post April, 12th. You can take translate-button. Birgit! Your sweater and kilt are really beautiful, and you look fantastic in them. Happy birthday to you for April 12th! 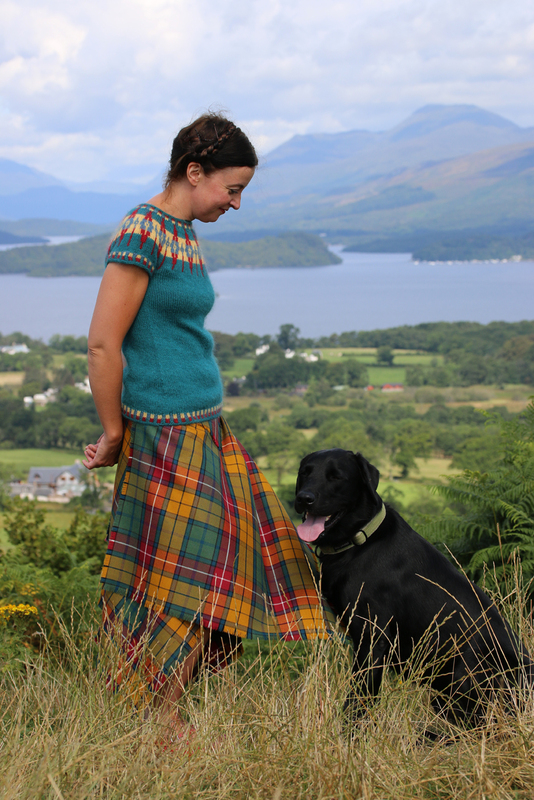 Lovely Buchanan yoke design; it looks wonderful with the kilt! My grandmother was a Buchanan. Unfortunately, I didn’t get to meet her, but I know she was a great lady. gorgeous place, and fabrics! what a treat! 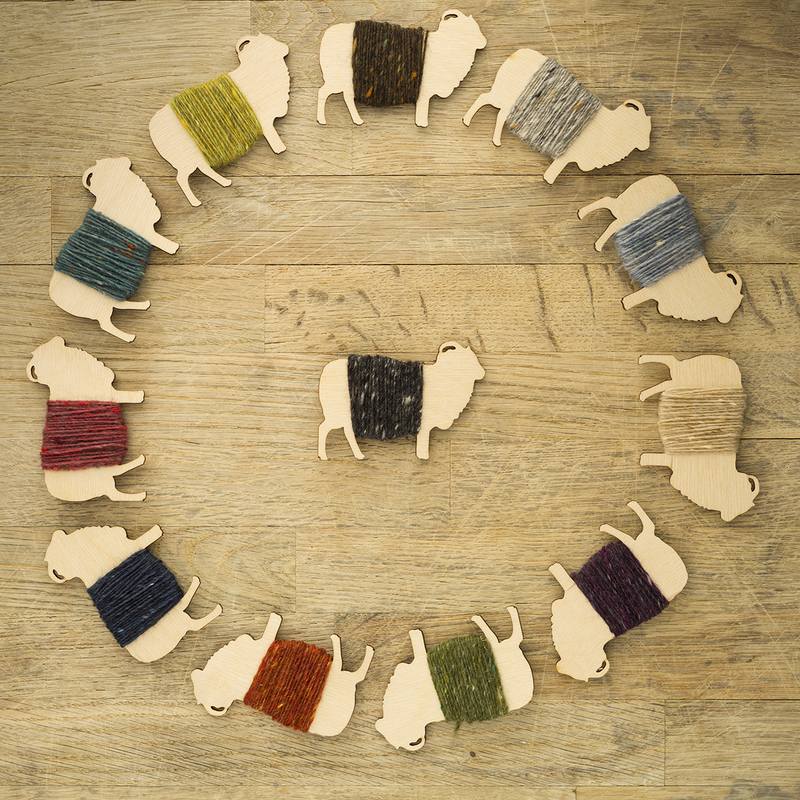 what fabulous kits, yours works perfectly with the Buchanan – the colours are perfect. 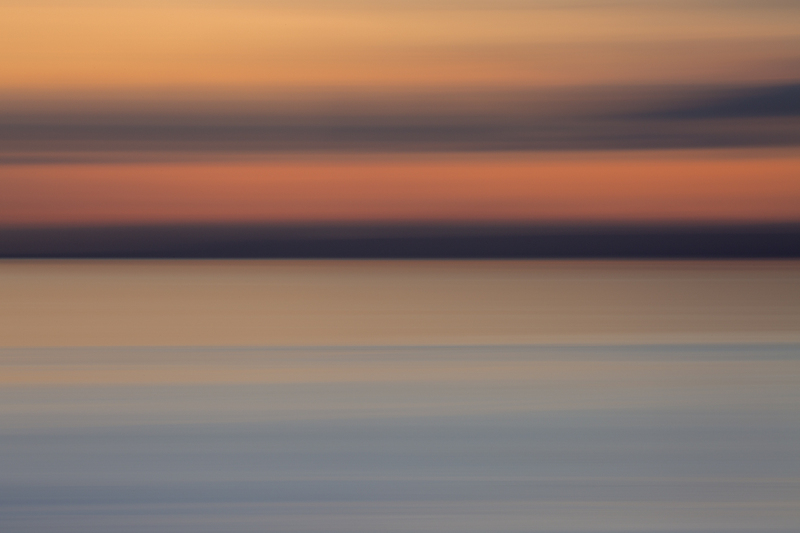 Mesmerised by the mix of colours. A shop to spend a few hours browsing around. So much choice of colours making it hard/impossible to decide. The photography seems to bring the colours alive. Fortunately, not in my locality but will tag location if I journey north of the border. The stunning scenery makes me want to make that journey soon. I forget how beautiful Scotland is.. I fell in love with the bias cut of your kilt. 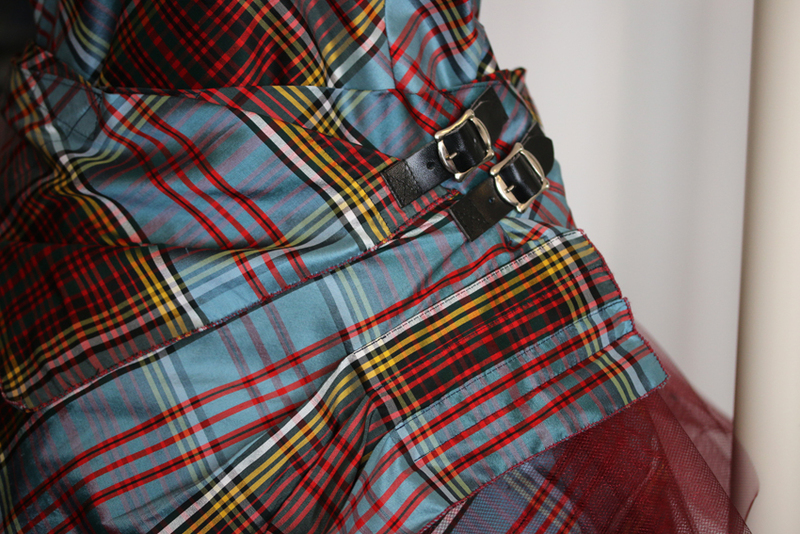 I have a kilted skirt and vest in my tartan and I think it would be so nice to have a modern version! Thank you for the post–the fabrics and clothing are beautifully tailored. What a treat to go to that store!! Thank you for showing us what can be done and done WELL!! In Aberdeen but looks like Scottesque no longer open. Has it relocated or closed down? I’ve loved the Scottesque look since the first time you mentioned it – it’s been bookmarked on my computer ever since. 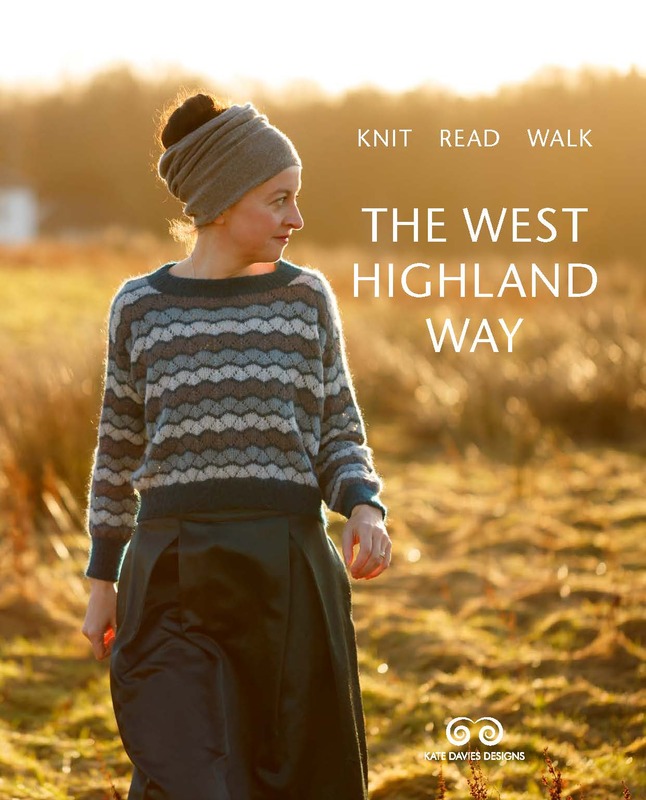 I just wish I could jaunt down the road to see them, as I am still a bit timid about ordering a custom-tailored garment from an ocean and a continent away! What wonderful lines those kilts show and the colors oh my! Fantastc kilts, I want one! They are wonderful. I’m heading to Scotland next year. I be sure to stop in and order mine as well. I am greatly moved. I can’t really explain the stirring inside. Such Works of Art, to wear! 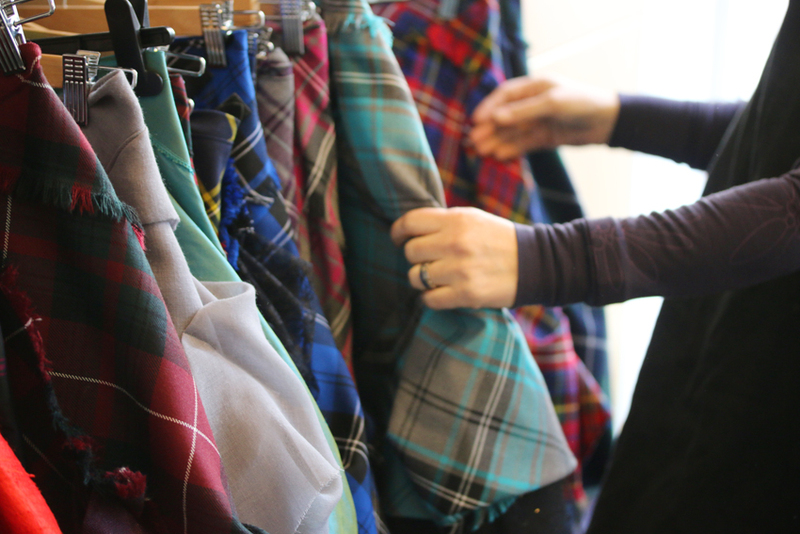 I can hardly wait to see and hear about what you have brewing up your sleeve and how it connects to those wonderful Tartans! I think it is sad that women have moved so much away from such wonderful and feminine clothing. I can’t decide on a favorite, though I wold have to say that I love the Scottesque Brown Multi and Gordon Red Muted are up at the top. You are lucky to have such a rich heritage, one that swirls around you through time, even in this Day and age. Here’s to Family! Here’s to Heritage! Here’s to Knitting! A Good Week to Ya’ll! Thanks Kate for keeping it all ALIVE!